One of the best ways to stay on top of your game in the email marketing world is by signing up to receive marketing emails from other great companies. As someone who writes numerous email campaigns for SendGrid, I receive hundreds of different promotional emails that I peruse throughout the week. 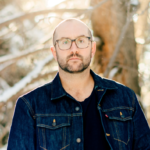 Below, I’ve picked some of the best promotional email examples to give you ideas for how to improve the design, copy, subject line and overall strategy of your email marketing campaigns. Then, keep reading for a step-by-step breakdown of how to actually make promotional emails that hit goals. First of all, if you’re a travel site, and you’re NOT sending customers emails based on the places they’ve been to or searched for, you’re missing an easy way to personalize and segment your audience. AirBnB also sends a good follow-up email that’s similar to this, but rather than simply focus on the place that I searched most recently, Booking.com does a good job of including a variety of my past searches. This best practice of sending hyper-personal promotional email can be applied to your email program even if you don’t work in the travel industry. For more on how to segment your audience, check out our segmentation guide. 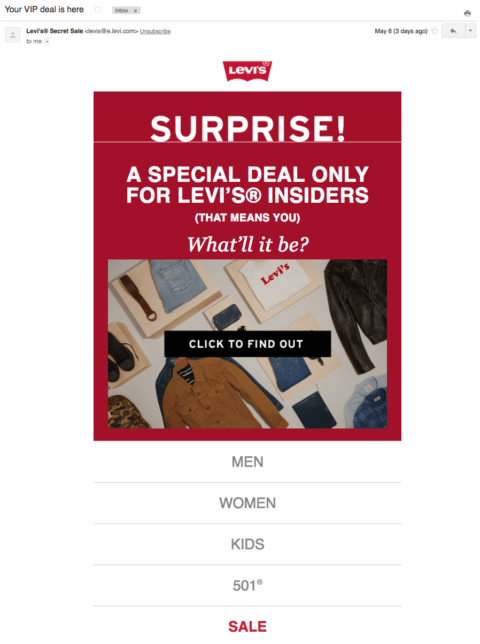 Truth be told, the things I like most about this email from Levi’s were the subject line and the from address. I thought that I had been chosen for a serious deal as a VIP and granted access to a secret sale! I am not a VIP, but I still opened the email, and I clicked through to see what the offers were. Reaching out to your recipients who have previously purchased something and letting them know that they can access something special or exclusive might be a great way to drive extra interest in your next promotion. This next promotional email is from Rapha, an elite cycling apparel company that also has stores in select cities. One of the things the company is known for is great design and style, and I think it carries over into their email. The email above announces the opening of a new location in Boulder, Colorado, so they feature great photography of riding in the area. This is a nice touch that makes the email feel personal and as though it’s speaking to me directly. As a marketer, make sure your emails reflect the design and aesthetic of your website and other marketing materials. Rapha achieves this seamlessly. Also, I know this email is long (and provides a variety of different CTAs), but it still works for me. It’s almost like scrolling through a long cycling article. I’ve talked about Strava in the past, but they continue to send great emails and keep me engaged. This is the most concise promotional email in this list, but it’s excellent for driving recipient engagement. 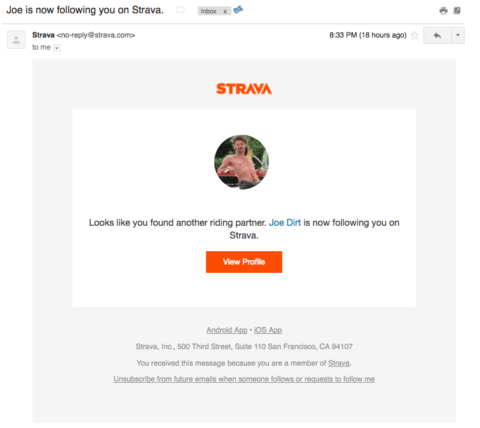 Strava’s goal with these emails is to drive engagement and keep people interested in their app–and it worked for me. After receiving this email, I clicked through to learn more about my new follower and the recent bike rides they had been on. 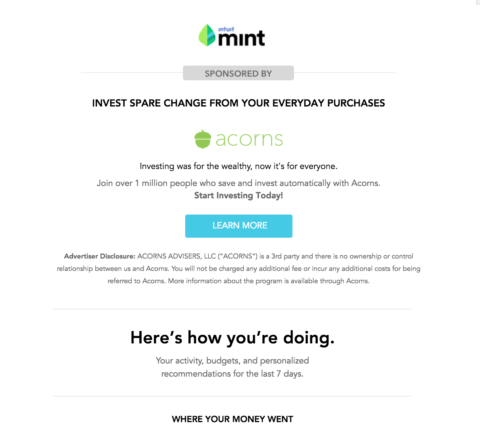 Much like Strava, I’m pretty sure the main goal of Mint’s emails is to continue getting you to use their app. One of the things I like about this newsletter is that it’s not just an update about the past week. If there’s a problem with my account, they mention it, and they even include some other helpful links if I’d like to check out some other ways to save money. This is again a great example of personalization within marketing and transactional emails. The common thread between all of these emails is that I’m already a big fan of their brands and I’ve used their websites extensively, so they’re speaking to a member of their tribe. As a result, I look forward to receiving these messages in my inbox, and I open them quite often. Some of the messages I’ve included above (like Strava and Mint) blur the lines between transactional email and promotional email marketing because they’re technically sent as account updates but include some marketing and even promotional material. This can be a highly beneficial way to send email, but it does require strategy and testing. If you’d like to learn more about how to send great emails of both types, download our updated guide, Marketing and Transactional: How to Build an Integrated Program.